With National Signing Day on the horizon, it’s a good time to examine what recruits Tech has picked up over the past year. 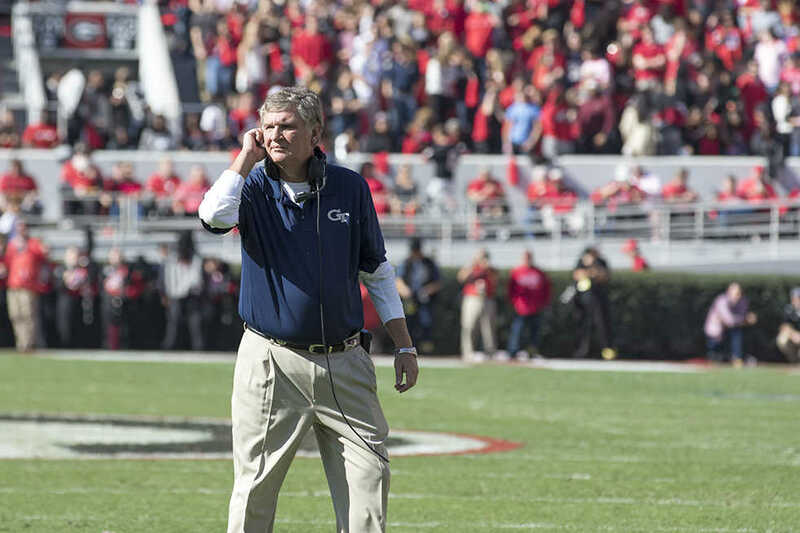 Because of the uncommon triple option offense and a multitude of other factors, it is rare that Tech pulls in a nationally remarkable recruiting class for football. Basketball is currently in the middle of the season so recruiting is halted for the moment, and spring sports such as softball and baseball will finally see what the freshman they received truly have to offer. Football has had a somewhat fruitful class in terms of raw talent compared to the past few years. With the Swilling brothers, Bruce and Tre, committing to follow in their father’s footsteps by attending Tech, the Jackets receive their only four-star recruit and their top three-star recruit, courtesy of 247Sports. While on paper the Jackets’ rank is extremely similar to past years, the addition of a four-star gives it a boost that Tech hasn’t seen since Shamire Devine in the class of 2013, who will be a redshirt senior this coming year. Additionally, Tech adds two niche special team players in No. 3 punter in the country Pressley Harvin III and No. 10 kicker in the country Joseph Bulovas (both ranks are computed courtesy of 247Sports.com). This year’s class is also incredibly heavy in defensive players, a subset of players that Tech sorely needs. While most defensive players will be returning for the season in the fall, it will be the year after that the incoming players will be needed most, what with the graduation of the Austin brothers. Josh Pastner was hired to be the next head coach of Tech men’s basketball team on April 8, 2016, leaving him without much time to recruit for the next year when many top recruits have already verbally declared intent. However, Pastner put his nose to the grindstone almost immediately after arriving and picked up two three star recruits: point guard Jose Alverado and small forward Curtis Haywood II. There are also currently three players considering Tech, the biggest being four-star point guard J.J. Smith. If Pastner is able to recruit Smith, he will only add to what he has been able to make in the short amount of time he has been here at Tech. As for spring sports, baseball has 12 freshman getting their first college experience this season. According to perfectgame.org, the class was ranked No. 22 nationally, with only one player choosing to forgo their college commitment to go on to the MLB. The class includes six pitchers, a position that Tech lacked depth in last season, especially towards the postseason. For next season, Tech’s recruiting class is rated even higher than last season. Perfectgame has them listed at No. 17 with sixteen recruits. However, what remains to be seen is how many will get drafted and choose to sign a major league contract instead of attending Tech. The main problem with both of these baseball recruiting classes is the lack of top 100 talent. For the 2017 class, Tech is currently the only top 25 team who doesn’t have at least one recruit from the top 100. This is disappointing in a talent-rich area. The other spring sport, softball, has an incredibly young roster and will be looking to prove itself this season. 10 of the 21 players currently on the roster are freshman, and while they are talented, their biggest test will be adjusting to the college level. The good news for softball is that recruiting continues to improve. The 2017 class is currently ranked No. 43 in the nation according to FloSoftball, with one top 100 recruit and one just missing that cut. The most important thing in the future for softball will be experience, and the future looks bright. Overall, Tech recruiting this season has appeared to have taken an upswing. Football grabbed the first four-star recruit in a few years, basketball has the rambunctious Josh Pastner and both baseball and softball continue to bring in high ranking recruiting classes to Atlanta. outrecruiting the Jackets significantly in recent years, Georgia has lost two straight games to Tech in Athens. There is no doubt that Tech coaches can and will bring quality athletes to campus. How they use them is another matter altogether. As players such as Josh Okogie have shown, prospect rankings, popular as they are, are far from perfect. While they wait for Tech’s newest athletes to step onto campus and begin competing, however, fans have reason to look forward to their appearances. From punters to pitchers, next year’s teams are stocked with players with significant potential.